Fort Myers dentist, Dr. Deirdre Campbell Catlin received her bachelor degree in psychology from the University of South Florida. She then continued her education and in 2003 received her Doctorate in Dental Medicine from the University of Pittsburgh. Dr. Campbell Catlin strives to provide the best dentistry possible using the latest techniques and materials. She takes many continuing education courses every year in order to keep up with all the technological changes in the dental profession. 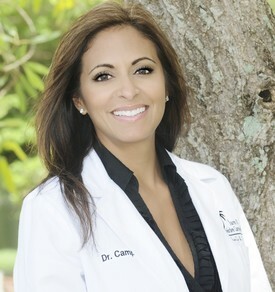 Dr. Campbell Catlin is very active in the Lee County Dental Society and served as president from 2010-2011. She currently serves as chairperson for the Lee County Peer Review Committee and as chair on the Ethics Committee for the Lee County Dental Society. Dr. Campbell Catlin and her husband, Dr. Catlin, stay busy raising their three children: Alexandra, Brock and Caid.